Don’t let the world dictate your Christmas with its pressure to buy this and that at every turn. Of all the toys and the gifts given this year, most will be forgotten or broken by next Christmas. But, what is really going to matter in fifty or one hundred years? Or a thousand years! Let the two-thousand year old story of the God of Heaven’s gift be a story that never loses its flavor in your life. He Who temporarily gave up His expanse in the Universe for human confinement when He squeezed into a suit made of infant skin. He Who left His Majesty for four-hour-feedings and messy diapers. He Who left His Throne for teething gums and adolescent acne. He Who left His Glory for a dirty, splintery cross. He Who left His Power and allowed His great drops of blood to drip on earth’s soil; the very soil He created us from. He Who did all this to rescue us from sin’s grasp and to prove His love for us. We are such stubborn folks. 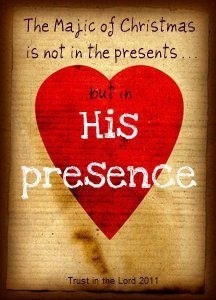 He personally had to come to earth to tell us about His love, and to redeem His very creation from eternal separation. Let the story of true love, grace, and redemption rise you above the confusion of shopping, next year’s credit cards worries, giftwrapping, and turkey dinners. 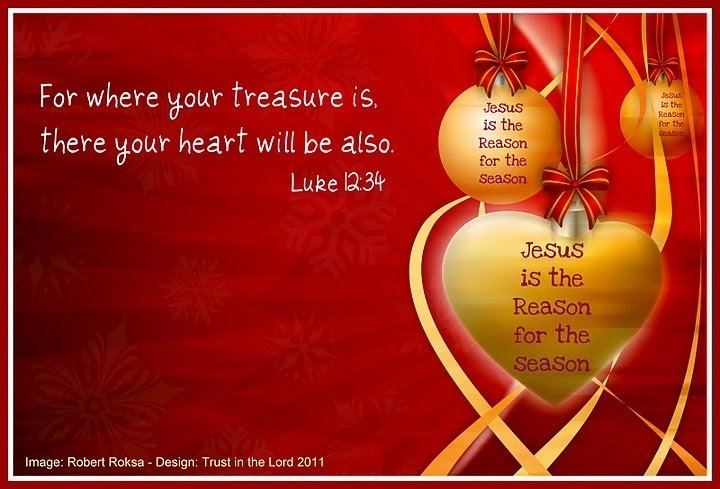 Let the true, priceless, unbreakable, everlasting, prepaid gift that can’t ever be stolen, wear out, or taken away from you fill your heart with joy this season. 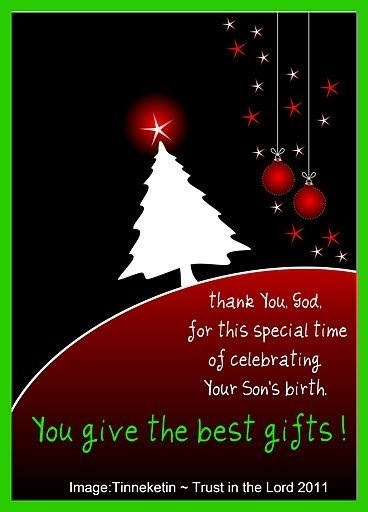 The gift of Jesus in your life. The joy of Jesus is a gift that lasts for an everlasting life. Beautifully written, Elizabeth. I just talked about Jesus being humble enough to let a young woman feed and change Him. That blows my mind! I am amazed that the God of the universe would become so vulnerable for us! Amazing God! Merry Christmas to you and your family also!